GRF won a top award and was also a finalist in this year’s Jerusalem Awards, presented in October at BAFTA in London. 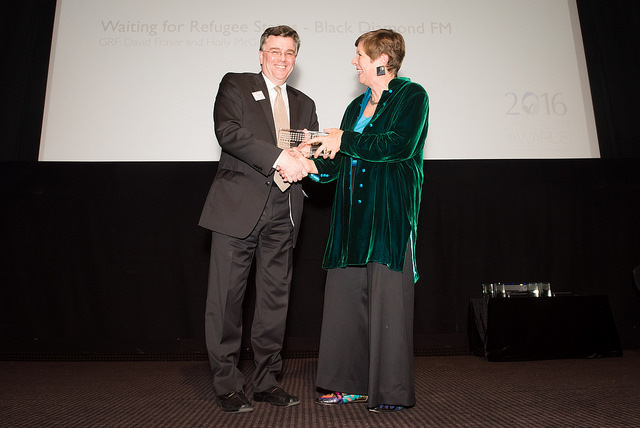 From 26 entries, a shortlist of seven, and a final list of three, GRF won in the Festivals (Radio) category with our short programme called ‘Waiting for refugee status ‘. This programme was a presentation of music and words for Advent on the theme of waiting, featuring an interview with Alison Phipps, the foster mother of an asylum seeker. 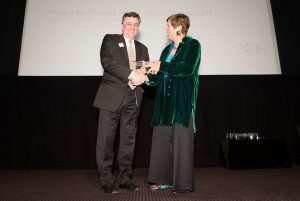 The shortlisting judges said it was as “a timely insight into the reality of those, especially children, seeking asylum and the engagement with the UK authorities.” Alison is Professor of Language and InterCultural Studies at the University of Glasgow, co-convener of the Glasgow Refugee, Asylum and Migration Network (GRAMnet). 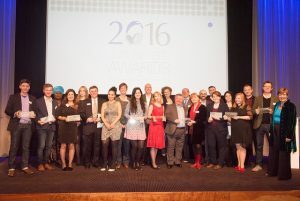 The judges said the programme was “…simple and understated but very, very effective…”.